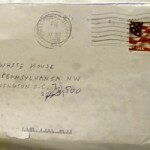 In this special edition episode we talk about ricin and address some of the panic in the press about recent letters being sent to the President and other officials. The whole story involves the KGB, poison beans, tainted mail, Elvis impersonators and ends up in the land that brought us Ed Boyer. Contributors include Matt Zuckerman, Jen Carey, and Ed Boyer. More information on measuring levels can be found here and more information on the infamous Markov case can be found here. Thanks for an interesting and pragmatic talk about ricin. There were, though, two things you missed about the Markov case. The first is that, although it is the most likely candidate, ricin has never been absolutely identified as the toxin in the case. I think the chance that it wasn’t ricin is very small but we cannot say with complete certainty that it was ricin. Ricin poisoning was demonstrated in the Kostov case adding to the probability that it was the toxin used on Markov. The second is that the best available information suggests that the umbrella was a distraction not the weapon. The most likely explanation is that Markov’s assassin had an air-powered weapon in his other hand. He dropped the umbrella to enable him to move close to Markov and to bend to reach his thigh. The earlier attack on Vladimir Kostov showed that the ricin might not penetrate through more than one layer of clothing. Plus, of course, anyone watching would have been distracted by the falling umbrella. The plans of an umbrella based gun said to have been found in KGB files are actually reproductions of what the UK press drew to illustrate ‘how the umbrella might have worked’ pieces. And, as I always tell people, if ricin is such a dangerous weapon, why do we have to go back to 1978 to find one case where it, most probably, was successfully used?